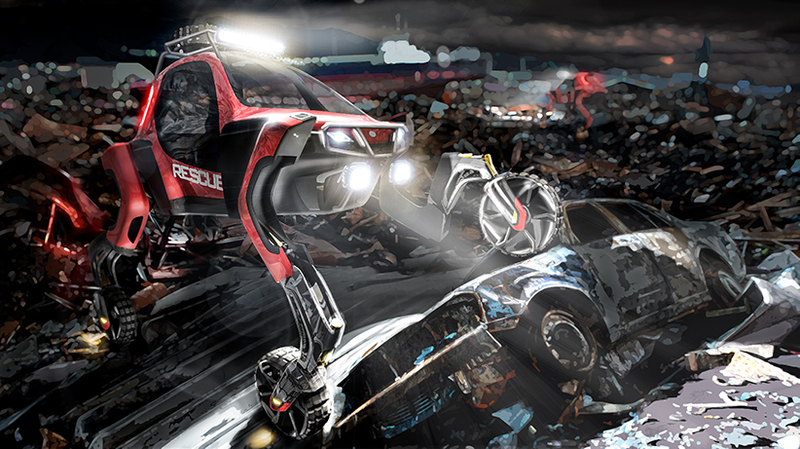 Sundberg-Ferar developed the Elevate Concept for Hyundai’s CRADLE division that believes in the relentless pursuit of delivering better mobility through pioneering robotics that deliver a greater quality of life. 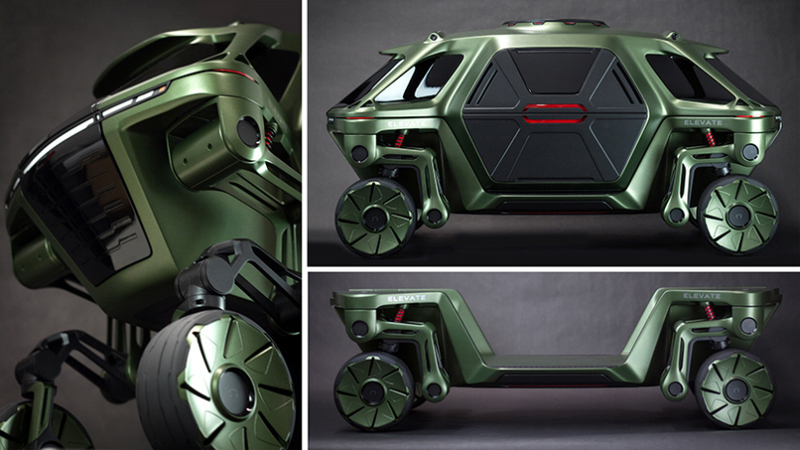 They asked the bold question, “What if cars could walk?” The Elevate concept answers this question blending technology found in cars and robots to create the first UMV, the Ultimate Mobility Vehicle. The transportation industry has focused on ‘Last Mile’ solutions in recent years, but this project focuses on the ‘Last 100 meters,’ no matter where they are. 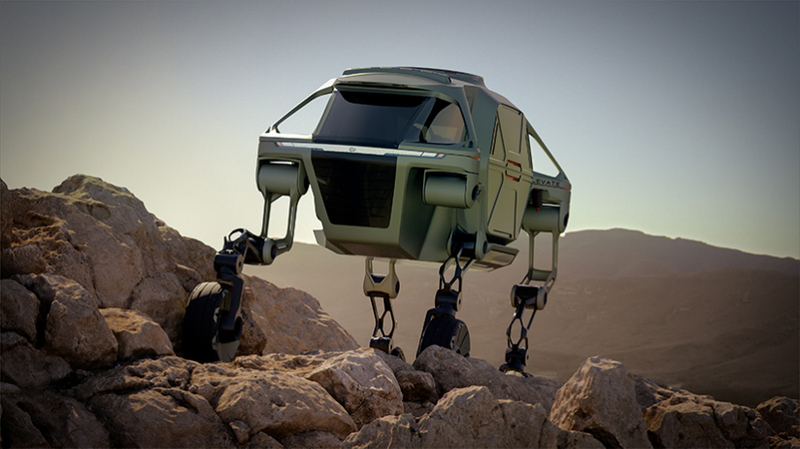 Based on a modular EV platform, Elevate can switch out different bodies for specific use cases. 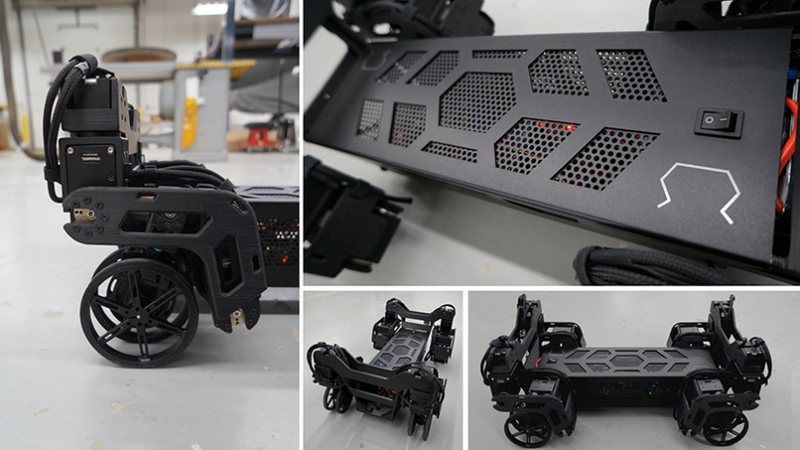 The legs are attached to the cradle chassis, which houses the battery. 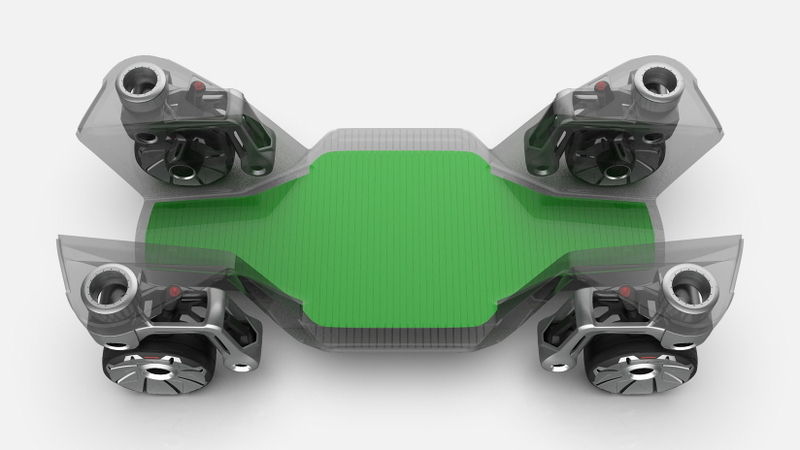 The robotic leg architecture has five degrees of freedom plus in-wheel motors that are enabled by the latest in electric actuator technology. This design is uniquely capable of both mammalian and reptilian walking gaits, allowing it to move in any direction. 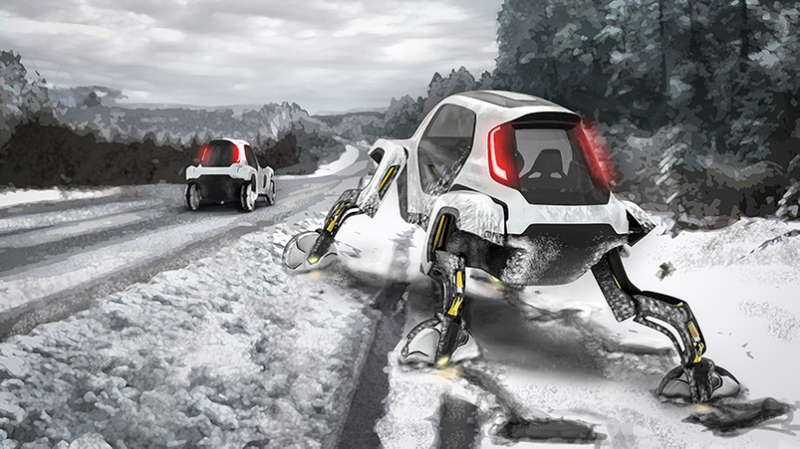 The legs also fold up into a stowed drive-mode where power to the joints is cut, and the use of an integrated passive suspension system maximizes battery efficiency. 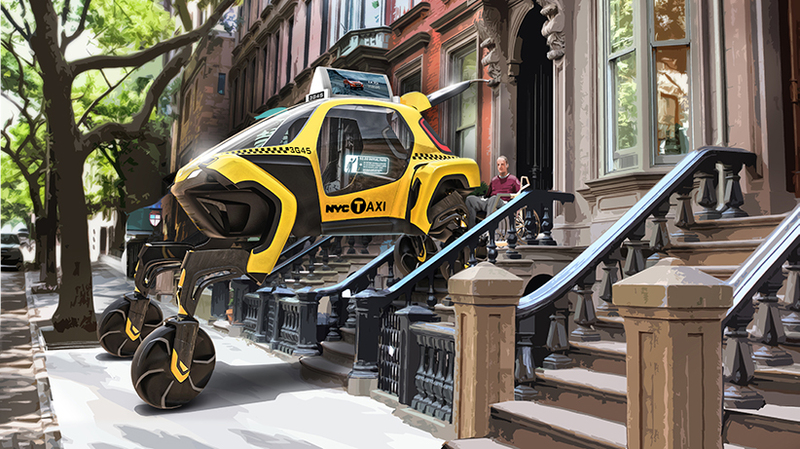 Elevate can drive at highway speeds just like any other vehicle, but no other can climb a five foot wall, step over a five foot gap, walk over diverse terrain, and achieve a 15 foot wide wheelbase, all while keeping its body and passengers completely level. 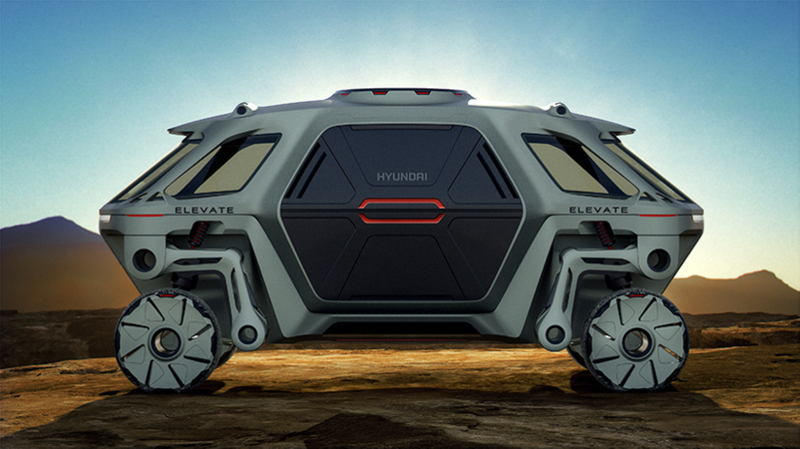 By combining the power of robotics and Hyundai’s latest EV technology, Elevate has the ability to take people where no car has been before, and redefine our perception of vehicular freedom and mobility.